October accommodation offers all at 50% off. Helping you holiday for less!! Prices quoted are discounted prices per property per night. Book online today to avoid disappointment. 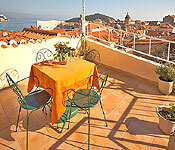 4 bedroom spectacular villa near Dubrovnik, sleeps 8. 50% off ALL available dates till 31st October. 3 bedroom villa with pool in Maslinica on Solta Island, sleeps 6. 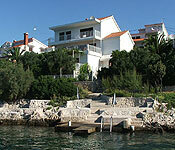 5 bedroom villa nr Trogir, sleeps 10-11. 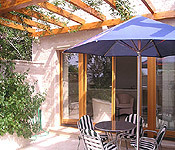 3 bedroom villa in Cavtat, Dubrovnik Region, sleeps 6. 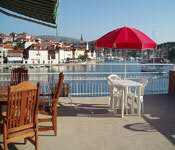 3 bedroom seaside villa near Rogoznica, sleeps 6. 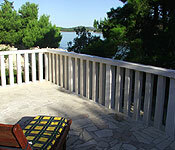 4 bedroom villa in Cavtat near Dubrovnik, sleeps 6-7. 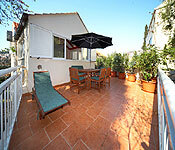 3 bedroom stone villa in Milna, Brac Island, sleeps 6-8. 40% off all available dates in October. 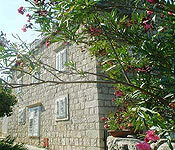 Stone Villa in Milna, Brac Island. 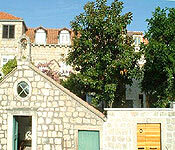 2 bedroom pretty stone villa on Peljesac near Orebic, sleeps 4. 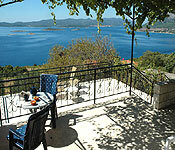 4 bedroom pretty stone villa on Peljesac near Orebic, sleeps 8. 3 bedroom villa in Dubrovnik, sleeps 4-6. 6 bedroom villa with pool near Omis, South of Split. 50% off ALL available October dates. 3 bedroom apartment sleeps 6, Lapad Bay, Dubrovnik. Apartment in Lapad Bay, Dubrovnik. Prices quoted are after relevant discount has been applied for lowest price available in offer period. Tourist tax is not included in the price and is charged at 92pence per adult per night. Children ages 12-17 pay 46 pence per night. Children age 12 and under do not pay the tourist tax. All offers subject to availability and minimum stay. Terms and Conditions apply.